The dance studio is a dancer’s second home. Growing as a dancer is about how you train – and where you train has a lot to do with that! A great dance studio will provide the instruction and resources for your learning, as well as a community of dancers to connect with. So, how do you know which dance studio is right for you? Look for these 4 things when scoping out a dance studio. Look up who teaches at the studio. These are the people you’ll be learning from and training under. Go through their websites, YouTube channel, and social media. You’ll gain a better sense of their dance styles, backgrounds, and personalities. Once you find a dancer you like, take their class! The only way to really know if they’re good at teaching is to learn from them. During the lesson, pay attention to how prepared they are. Do they know how to communicate their moves? Their intentions? Can they teach you how to dance, not just what moves to hit? Or are they constantly stumbling around trying to remember their own choreography? The student’s growth should be the instructor’s #1 priority. And a great studio will curate a roster of instructors who are dedicated to that. Not all floors are created equal – wood sprung floors or “floating floors” in a dance room are best for dancers. They help absorb shock, relieving stress from your bones and joints and preventing injuries. Other than floors, the rest of the studio’s physical condition is worth considering as well. Clean bathrooms and organized registration areas may not make or break your will to take class, but they do represent the studio staff’s work ethic and efficiency. It shows how mindful they are about your experience at their studio as a whole. It’s like when you put in the effort to take a shower and put on a nice outfit – doing or not doing it doesn’t make you ugly or beautiful, but it does show that you can take care of yourself. The same way, notice the ways that a studio keeps you, the customer, in mind. Average costs of classes will vary by area. A good way to gauge if it’s reasonable is by comparing it to the cost of similar classes in other studios in your area. If a drop-in at one place is $10, and another is $50, then you’ll want to choose the studio that’s more affordable. Especially if you’re strapped for cash. But if it comes down to $10 class vs. a $12 class – go for the one with quality instruction and a better experience. If the studio delivers value that’s worth the cost, then I would go with the $2 extra dollars. Spending $10 on an underwhelming experience isn’t a bargain, it’s a waste of your money and time. More bang for your buck > less bang for less bucks. Programs offer structure in your dance training – especially if you’re a beginner to a style. This way, you don’t have to wonder if you’re in the right class. 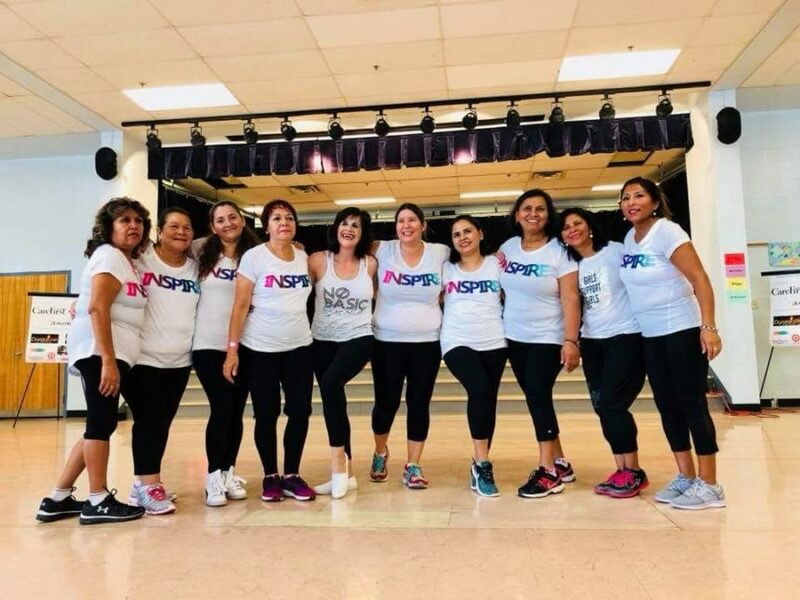 You’ll take a series of classes designed to take you to your goal, whether that’s to lose weight through cardio hip hop or learn ballroom dance. A lot of studios strictly do drop-in classes, but you can look for one that offers adult or teen programs that were made specifically for a dancer like you! Enrolling in a program also pushes you to keep going to the studio, instead of relying on whether or not you “feel like dancing” that day. Dance Floor CourtesyWhy Is Dancing So Good for Your Brain?